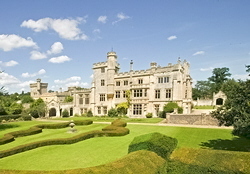 Farleigh House has for long been the centre of the Farleigh Hungerford Estate. Much of the stone used to build the house in the 18th century came from the nearby Farleigh Hungerford Castle. The house was extended in the 18th and 19th centuries in the Gothic Revival style and until 1970 was owned by the Houlton family. In 1970 the house became a prep school known as Ravenscroft School. When that school closed in 1996 it became Farleigh College a special needs school. In 2001 the house was sold to Inspecs a company that manufactured optical instruments .Acquired in 2010 by Bath Rugby it now serves as its Headquarters and training centre.